Blush has been a hot color all year and it continues to be throughout fall and winter. I, for one, am excited! 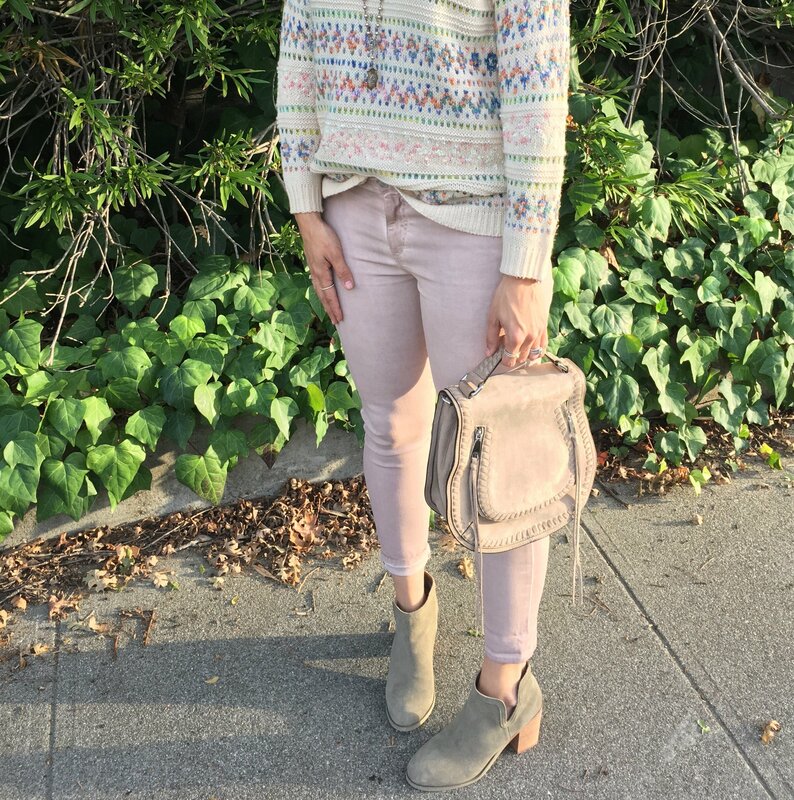 I love being able to wear sweaters and warm clothes that are typically designated for spring…it’s the perfect way to get your price per wear (that’s how I decide if something is worth the cost) down and get the most out of your pieces. I have actually had this sweater from Francesca’s for a while, but am just now able to pull it out for the year. Like most things, I always shop half way through a season so I can get things on sale, it’s how I can get more to put in my closet! This sweater was no exception, I got it towards the end of winter for about $17. I love getting sweaters for a steal! Thanks for stopping by and hope you’re having a great week!! What a pretty sweater! Love the neutral colors of it – especially with those blush colored pants – so pretty! Great look, love these pastels! I love how unexpected pastels are in winter. This look is perfect!